Whistler has North America’s Biggest Ski Area, A Vibrant Village & is 50% Off If You Book Soon! When it comes to ‘The Best Family Ski Resorts in Austria’ it’s easy to get confused. Almost every ski resort claims to be ‘family friendly’ and many do make big efforts to offer all they can. But when you really get down to the details and to the practicalities of being one of the Best Family Ski Resorts in Austria, some go that bit further than the rest. They really seem to look at a ski holiday from a family perspective. Even more, you get the impression there are people in resort who have families themselves who have actually experienced some of the Best Family Ski Resorts elsewhere. 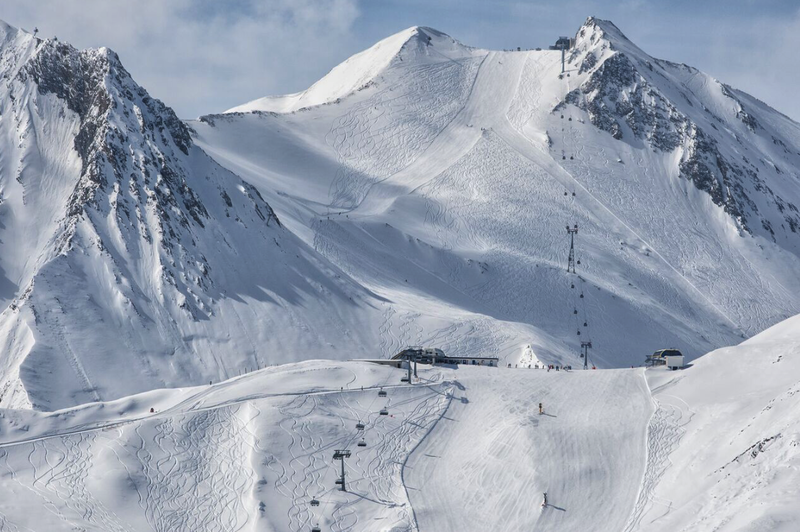 Whilst there they’ve considered what’s good, what could be better, what’s bad, and then brought all the knowledge and experience back and done all they can to cover every aspect to be the Best Family Ski Resorts in Austria. Of course, some ski areas are better placed to cope with families too. It depends a little on what you all want from the ski holiday – adults as much as kids – but in many cases, it’s the more intimate, smaller to medium sized resorts that are most suited to quality family time together – not one of the giants of the ski resort world. Rated as THE most family-friendly resort in the Alps (let alone merely one of the Best Family Ski Resorts in Austria) by a number of international online surveys of skier opinion, these three neighbouring historical villages in the Inn Valley which share a common ski area with more than 100 miles of groomed runs and offers unrivalled facilities for children and their parents in resort and on the slopes. These include the on-mountain Kinderschneealm children’s entertainment centre, Murmli Park and Berta’s Kinderland as well as excellent ski schools, all-day childcare, separate children’s restaurants and many other family-friendly attractions. But before we detail these, worried parents who want great facilities for the kids, but also want plenty of skiing so they get some downtime too, need not fear. There are 214 skiable kilometres of perfectly groomed runs over a healthy 1620m vertical between 1200–2820m above sea level, 80% of which can be covered by artificial snow, all served by 68 modern lifts and cable car systems (the region has invested more than 200 Million Euros over the last decade), so this is one of the bigger resorts in Austria and indeed the Alps. Besides the downhill there are 30 km of maintained cross-country skiing trails, toboggan runs, freeride slopes, numerous fun areas, snowshoe and winter hiking and the whole gamut of winter fun sports to enjoy in clean, crisp air and a beautiful snow-covered mountain setting. Serfaus-Fiss-Ladis have even thought to create 19 ‘feel-good stops’ around the area where you can enjoy particularly wonderful views whilst soaking up your share of the 2,000 hours of sunshine the area receives annually. The village centres are partly pedestrianised making it safe and easy to walk to the ski lifts (although if you stay in Serfaus there’s also the option of an amazing mini underground train) at the base of which there’s plenty of storage space for safely securing all the gear and spares a family could need during their day on the slopes. Lift queues to get up the mountain are almost unheard of as there’s so much capacity available on the fast, modern lifts. 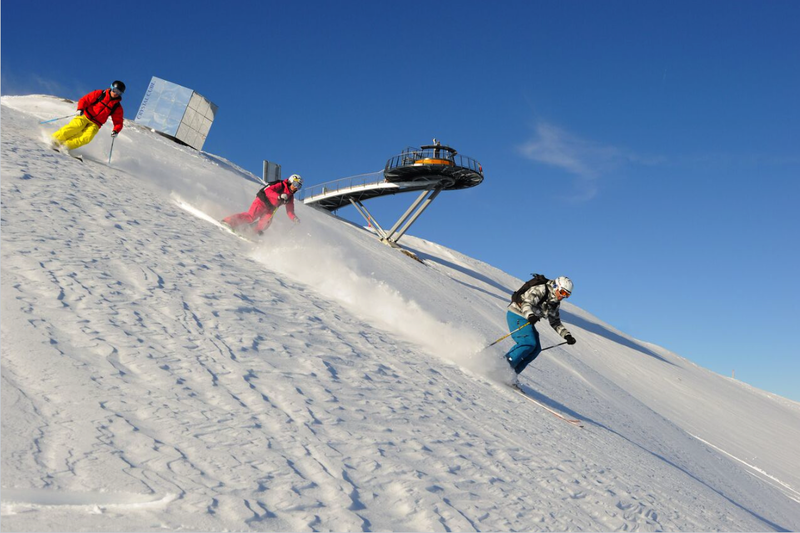 So in short, the whole ‘getting on the slopes at the start of the day’s procedure is designed to be as stress free as possible so you don’t end up feeling exhausted before you even get your skis on, as can be the case if you choose the wrong resort! The drive to be one of the Best Family Ski Resorts in Austria continues (and if anything, moves up a gear), on the slopes. Some twelve-and-a-half hectares of the slopes are reserved exclusively for children, divided in to three children’s areas – Kinderschneealm located below the Komperdell midway station, the three -storey Bertas Kinderland at the Sonnenbahn midway station in Fiss-Ladis and the Murmlipark in the centre of Serfaus. For breaks from snow play and learning there are three dedicated children’s restaurants to go with them – Starrest, Murmlirest and Bertas Kinderplanet. 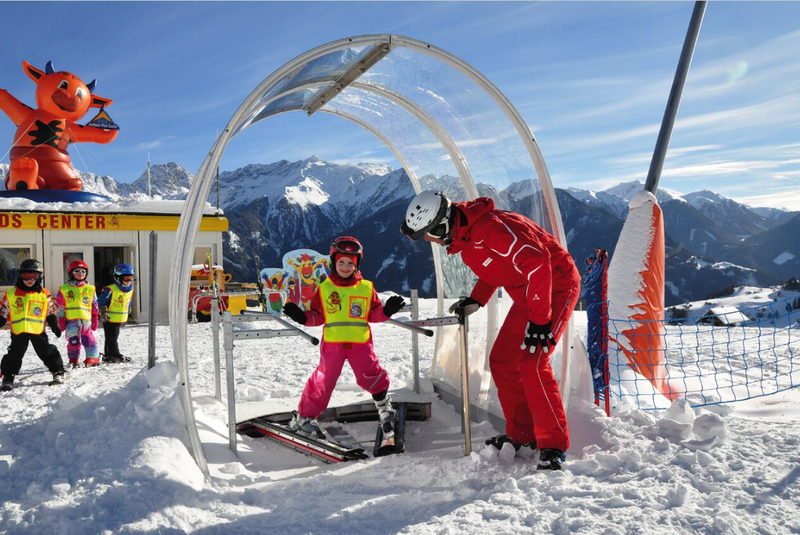 Specially trained instructors from the Serfaus and Fiss-Ladis ski schools use the three dedicated children’s areas to introduce your kids to the fun of skiing and snowboarding. Here, tomorrow’s pros can explore their carving skills in a playful and unconstrained manner, in accordance with internationally acclaimed training methods. 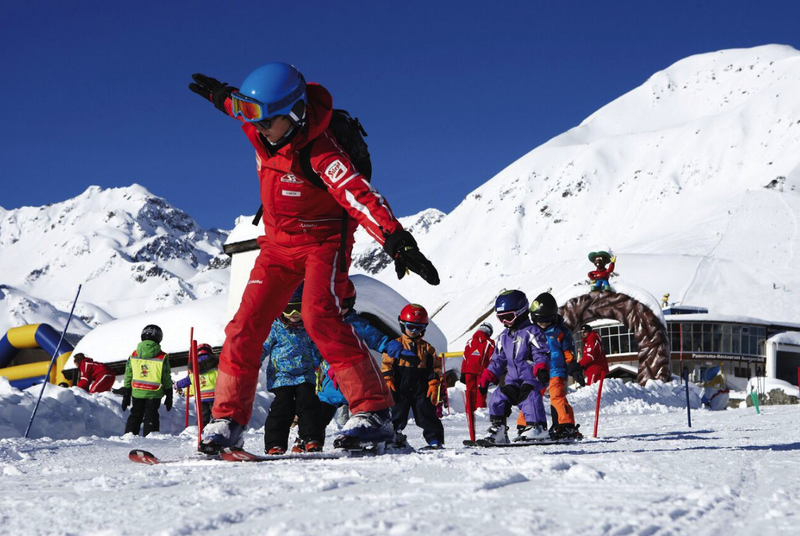 Berta’s Kindervilla is the very newest of the three and here the Fiss-Ladis ski school provide an innovative child-centred approach to learning which combines traditional kindergarten care with introductory skiing lessons. In the “Schneeabenteuerraum” (Snow Adventure Room), children from the age of two are brilliantly looked after by friendly staff who also take the youngsters on fun excursions in the snow. The youngest learner skiers aged 3+ can come here to take a break from their lessons. Many other imaginative resources and the two cuddly mascots Murmli and Berta make the days at the ski schools all the more memorable. Lunch is served in those restaurants provided just for children. The Murmlirest and the Starrest in Serfaus, which are generally regarded as probably the coolest kid’s restaurants in the Alps, devised by children for children. In Fiss-Ladis, the ski school classes dine and rest at Berta’s Kinderplanet. Thought has gone to in to how parents and children plan their day to minimise stress and make sure drop-offs and collections are as easy as possible, for everyone. So why have everyone battling to do the same thing at the same time (as so many ski resorts do…). Here the two ski schools have staggered opening times during the main holiday season to avoid long waiting times at the cable cars and lunch breaks and to give late risers plenty of sleeping time. Most of these eateries are conveniently accessible on foot or via cable car, which means that all members of the family, including non-skiers, can meet up for lunch or a snack if they wish. And speaking of other members of the family: Serfaus-Fiss-Ladis has yet another innovative rental service for parents with babies and toddlers – electric strollers that are so much easier to push up the mountains or through snowy winter terrain and village streets. If you have the energy left, evenings don’t have to be quiet either. 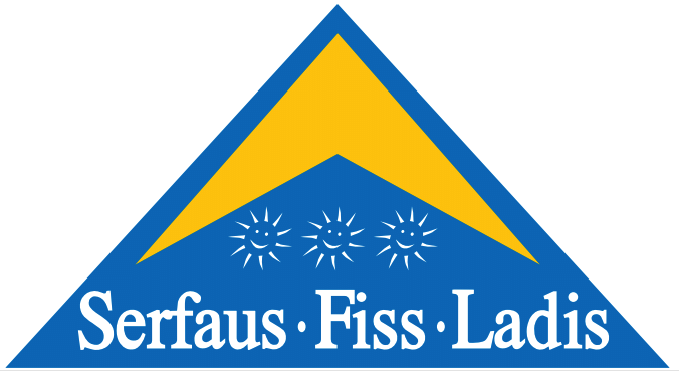 The Adventure Night in Serfaus, the Nightflow show in Fiss and the grand Magic Ladis event at Laudeck Castle in Ladis show each create a nightly spectacle with fireworks and special effects, top-class acrobats and exciting performances by the Serfaus and Fiss-Ladis ski instructors. There’s a huge variety of terrain as you would expect in such a large area from the positively gentle to seriously steep and even includes signposted off-piste freeriding terrain. There are themed pistes and experience tracks for younger children including the Dino Forest, the Animal Park, Berta’s Indian Village, the Fiss Cave World, tobogganing runs, racing tracks, a climbing tower, a merry-go-round, an adventure course, fun areas, snowmobiling courses, the Bear’s slope and the interactive Murmli Trail – the list goes on and on. The fun areas are designed for children and teenagers with more advanced skiing or snowboarding skills who are keen to try out tricks and freestyle moves as they master obstacles of various degrees of difficulty. 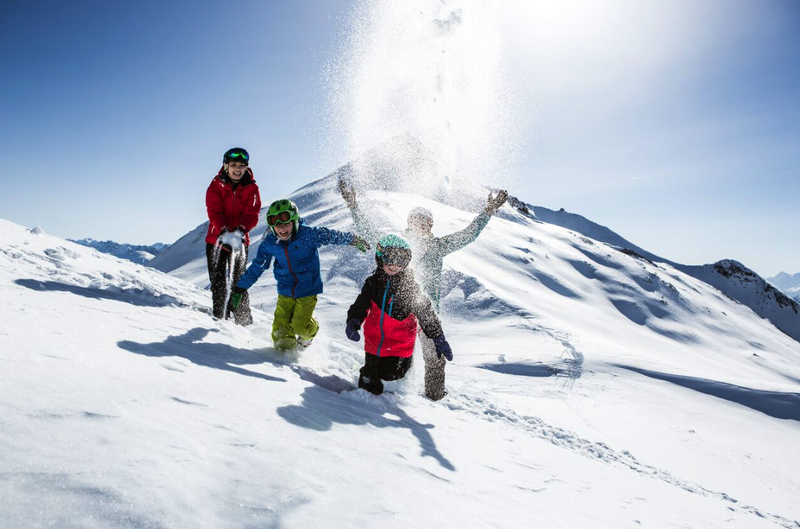 On top of everything they could possibly do to make a regular family ski holiday be classed as good one of the Best Family Ski Resorts, Serfaus-Fiss-Ladis have gone that extra mile to offer still more. The Family Coaster Schneisenfeger is a downhill coaster accessed from the ski lifts that soars through roundabouts around banked turns and over jumps and slopes at speeds of up to 40 km/h and 8 metres above the ground all the way down to the Hög Adventure Park delivering breathtaking sensations of height, swerve and speed. In addition daring souls (including older children) can test their nerves on one of Fiss’ “flying” attractions. First there is The Fisser Flieger, a kite-like aircraft connected to a cable that can carry four passengers at a time, accelerates quickly and then swoops across the Möseralm 47 metres above the ground at speeds of up to 80 km/h. Second there’s the giant Skyswing which accommodates up to eight persons at a time and offers three different levels of fun ranging from mild swinging to a full loop enabling riders to experience the sensation of weightlessness! And not forgetting the huge indoor playground and climbing gym: PLAYIN. PLAYIN features a laser game room, a soft-play area covering a whole of six floors, a big climbing hall with eleven different climbing walls, a bouldering zone reminiscent of a chemistry lab and an interactive play wall.